Daman – A Travel guide to Portugal Heritage in India - Journey & Life. 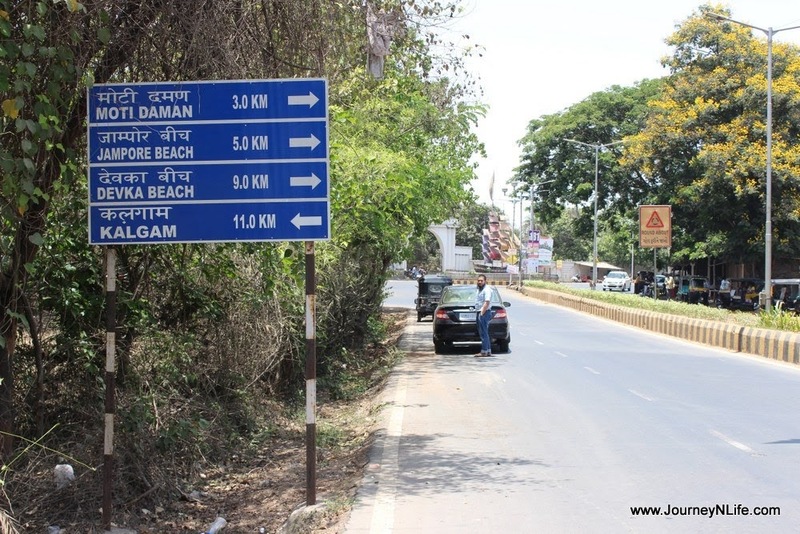 Daman is part of the Union Territory of Daman & Diu located near Gujarat, but in reality they are quite far apart especially by road. It was also a Portuguese colony and became a part of Indian Union in 1961, 14 years after independence and after a brief battle with Portugal. 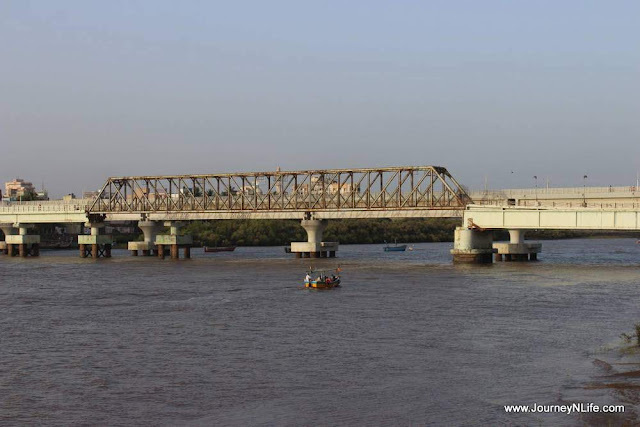 Ganga River divides Daman into two distinct areas – Moti Daman and Nani Daman. 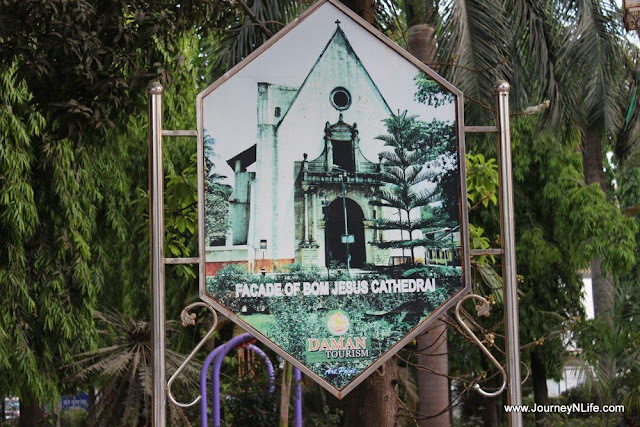 The Portuguese legacy lives on in Daman - in life, in buildings (churches, schools, forts and so on). 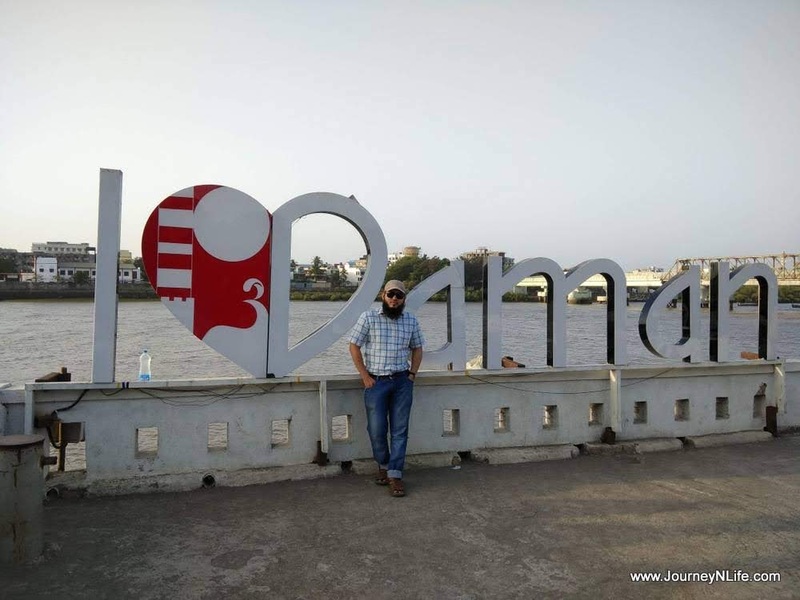 The Portuguese connection also makes the town a little more exotic for many travelers, though not all. 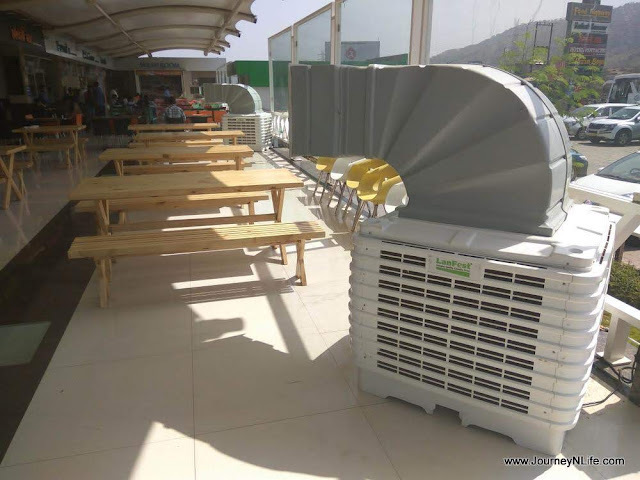 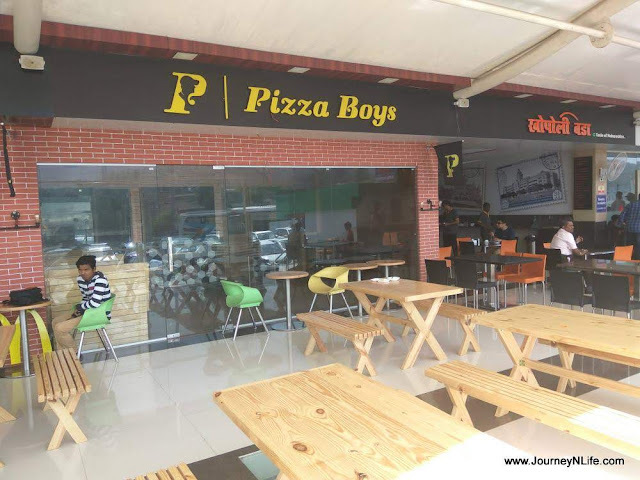 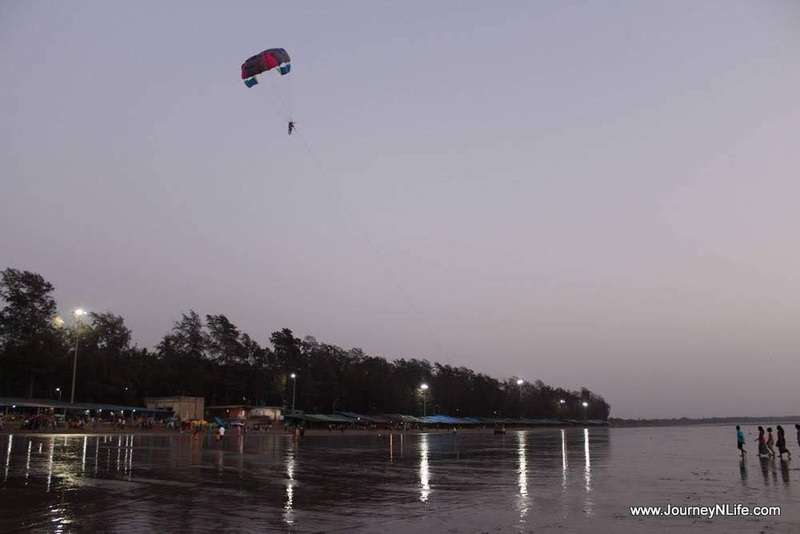 Beer flows at every corner and we can see the young crowd absolutely in the mood, as Daman is the closest wet region in South Gujarat and it is popular destination for those who want to wet their throats occasionally close to home. Me and my friend (Mukhtar) were planning for a short ride around Pune, but as most of the places in our list around Pune are covered. 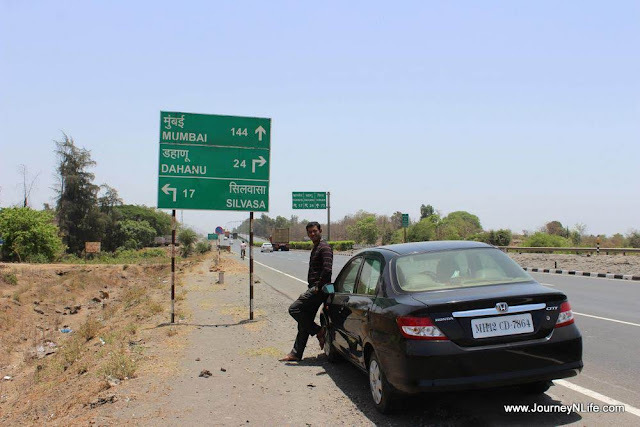 So contributed a thought to explore the places in another state and finally planned for a 2 days trip to Daman. 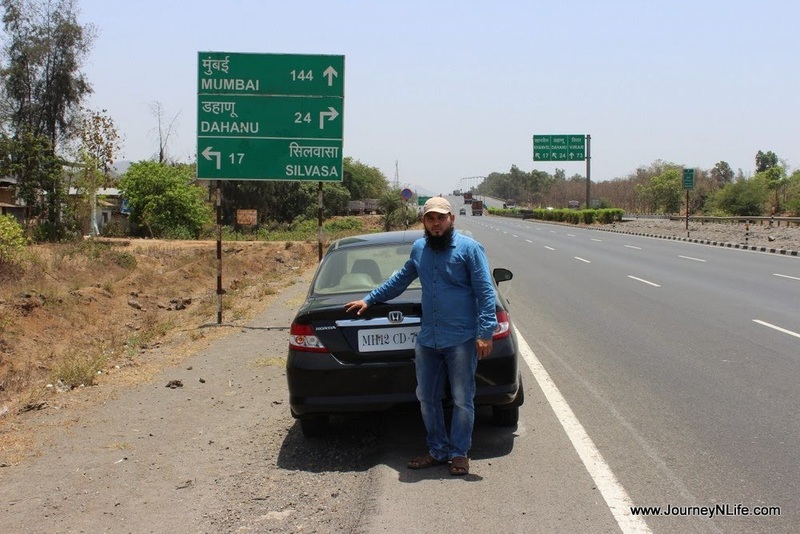 The drive from Pune to Daman is mesmerizing due the 4 lane expressway and smoothness of the road, which easily allow us to reach 120kmph on the empty patches. 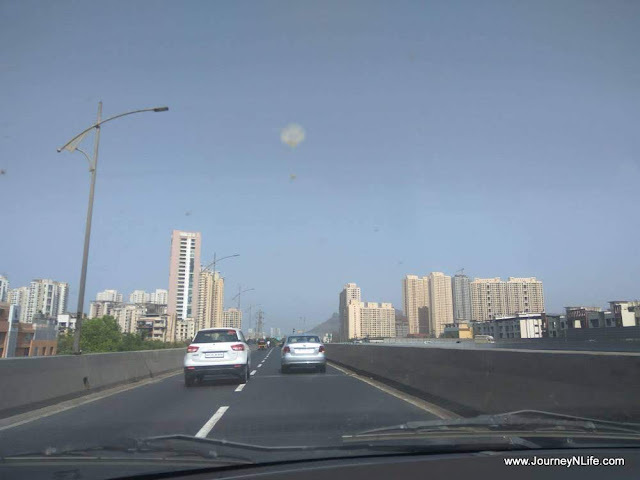 We left Pune in the morning around 7AM and easily crossed the Mumbai traffic areas before 10AM, soon the amazing 4-lane Gujarat Highway welcome us. 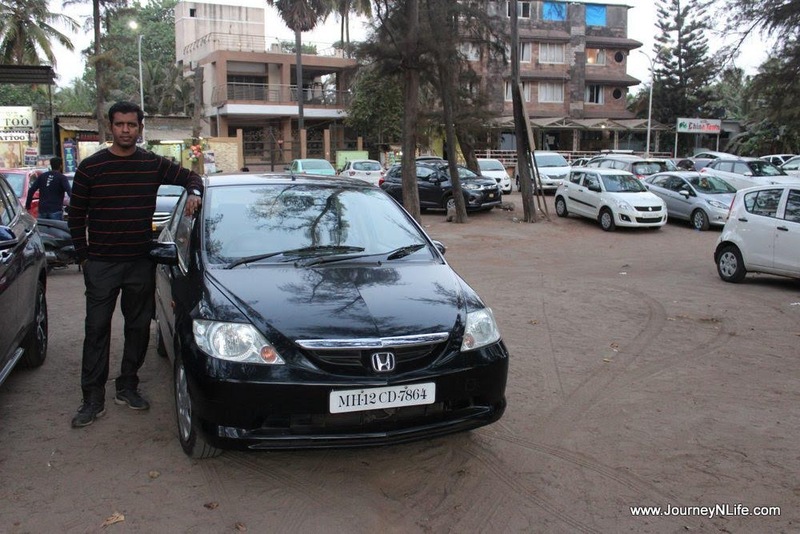 It was the first time I am taking my black beauty (Honda City) for the long ride and it was remarkable experience. After a short stop for refreshment and snacks on the Food Highway we reached the Gujarat border and later after few kilometer we took a left turn at Valwada and cross the railway lane and entered into the coastal area which has a breathtaking views and it remind me about my 3 days Pune-To-Goa trip. 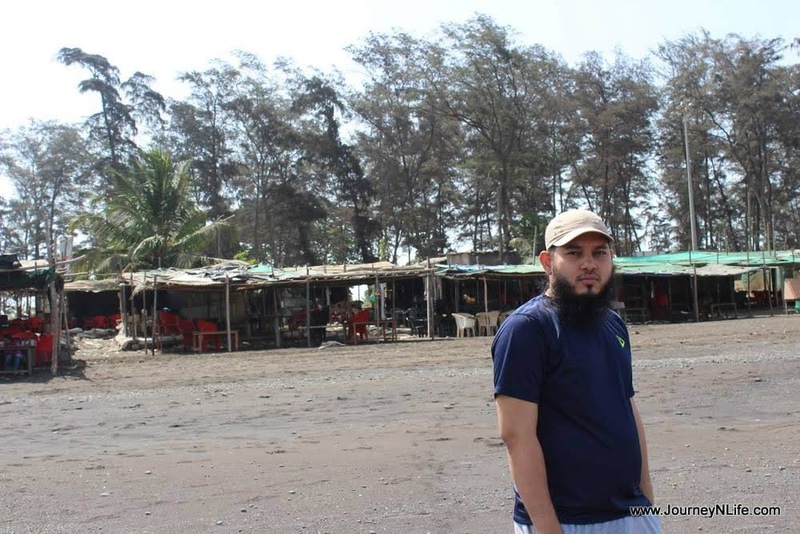 Soon we entered into the Daman, which has a magnificent welcome gate and giant ship at the entry point, and the view around was typically line of coconut trees along the beach line. 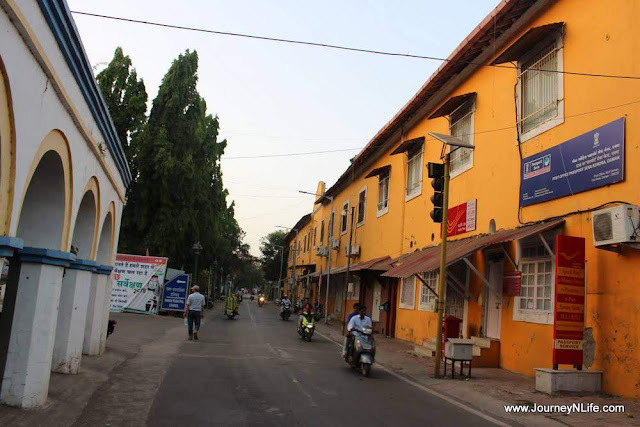 One very distinct thing that we noticed as we entered Daman was the liquor shops all around. 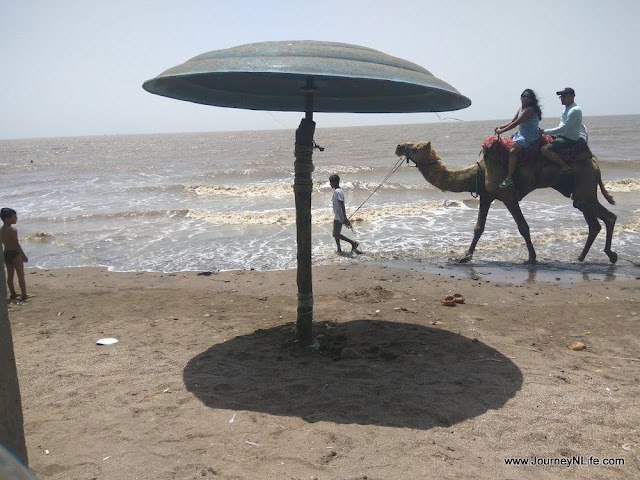 It is said that with Gujarat being a “dry” state, Daman is the nearest watering hole for those who are hard drinks. 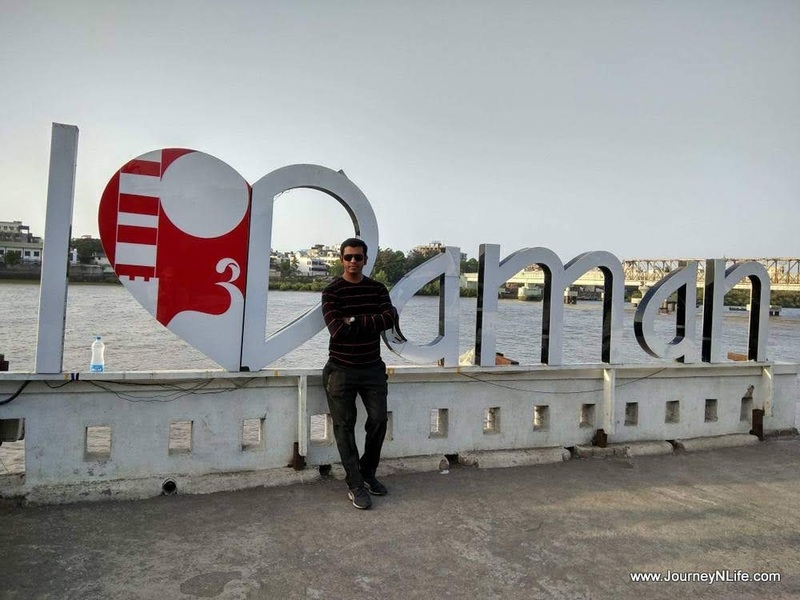 As we are from other category our first impression about Daman was a bit of a disappointment. But we moved on and started looking for a suitable place to stay. We deliberately moved away from the main town and went towards “Devka” beach. 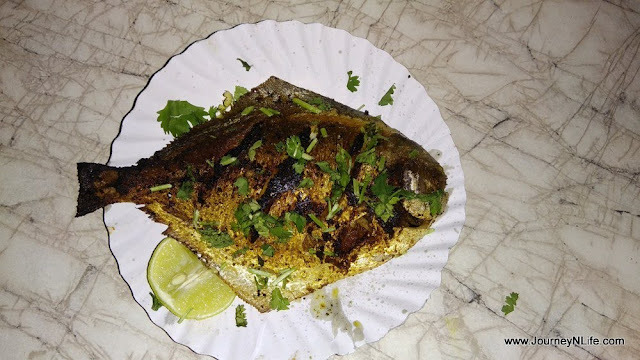 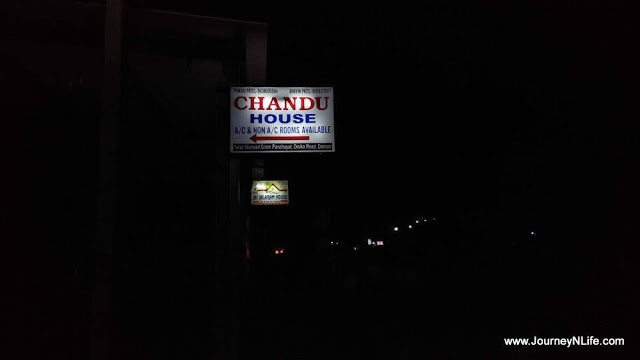 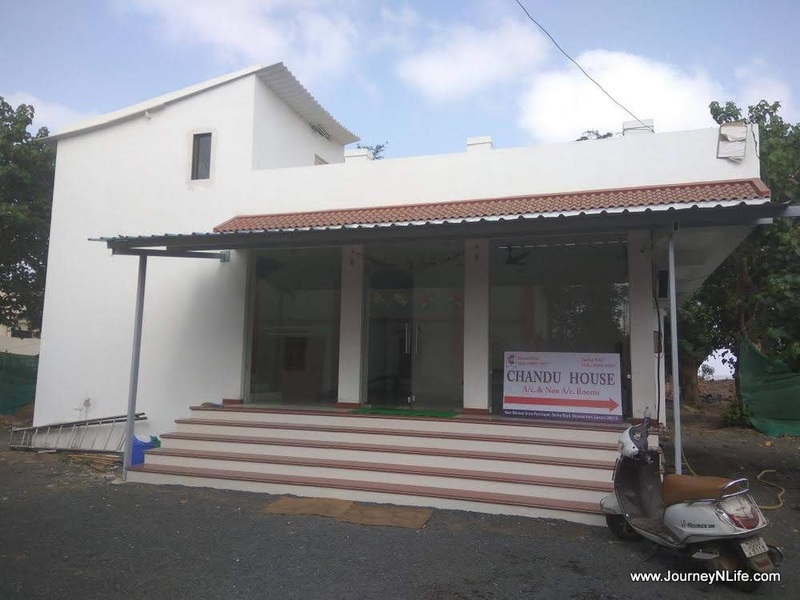 There were hotels on the both side of the Devka beach road; we search for few home stay and found “Chandu House” to be more appropriate as it has a backyard which open up to the beach itself. It was amazing view of the sea. 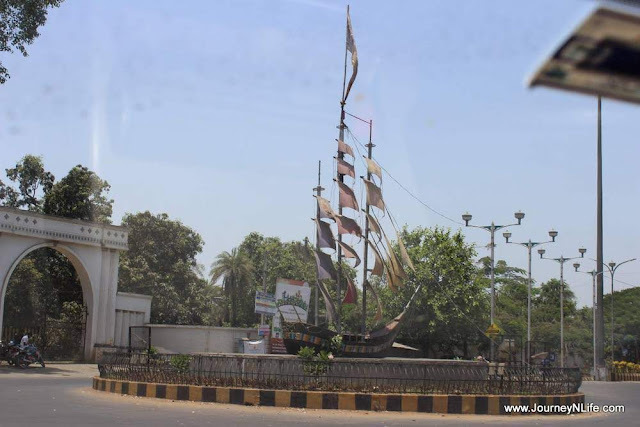 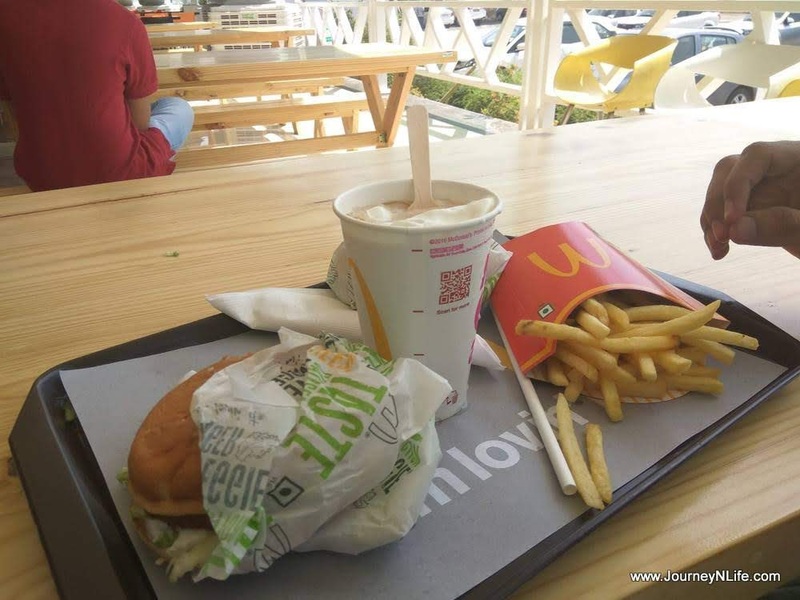 We had a quick lunch and started to explore the Daman city. 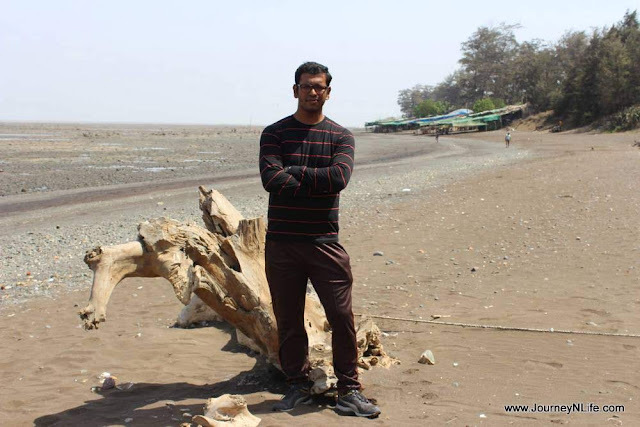 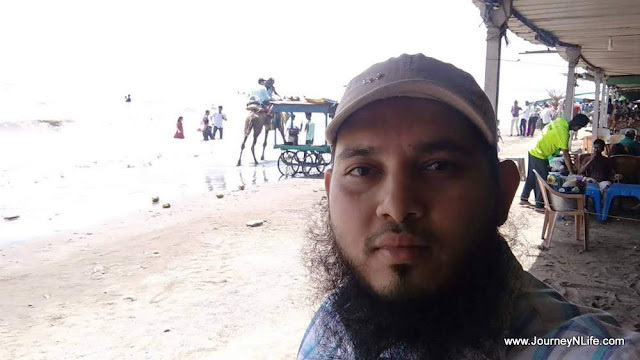 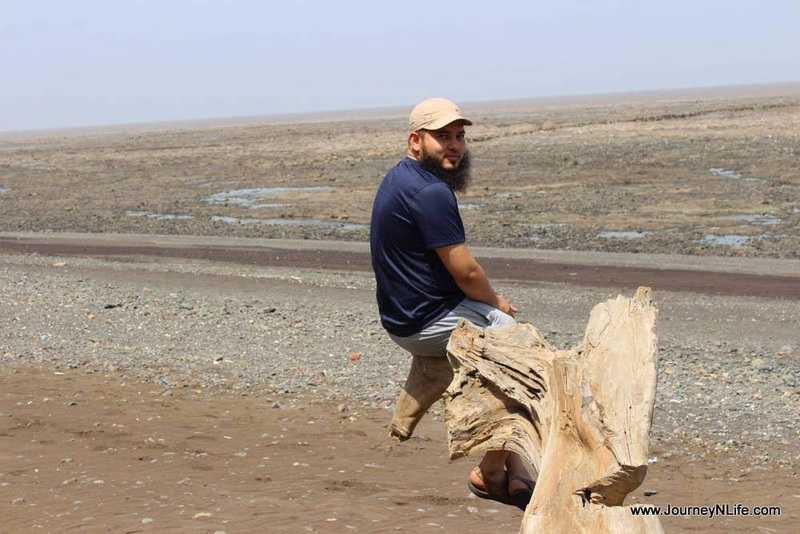 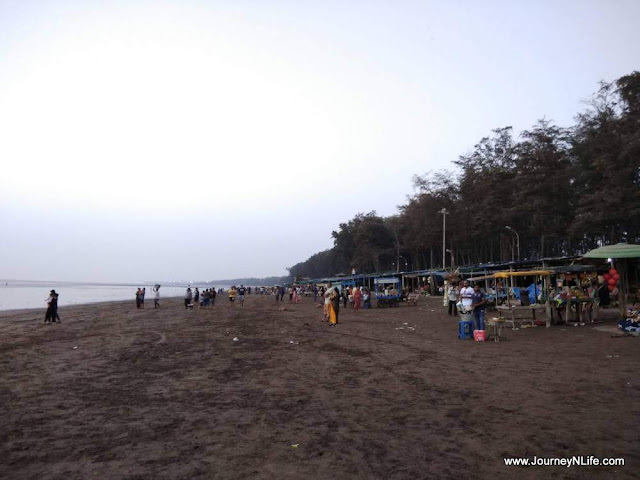 Till now our impression about Daman was not that great, although I had a wish to visit this place, hence the feeling were mixed about this place. 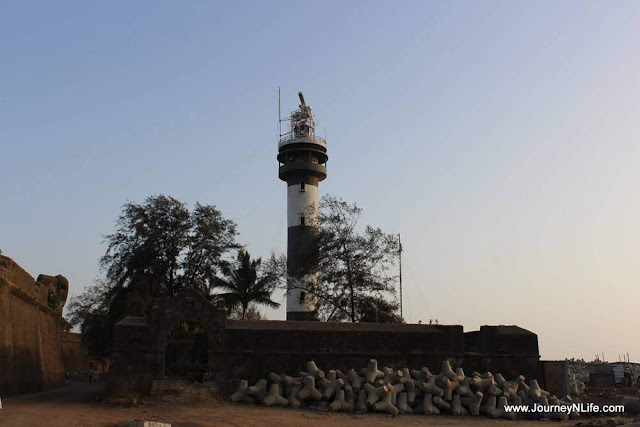 We headed off to the first place Daman Lighthouse or “Moti Daman Fort”. Driving inside the fort is like driving inside the movie set. 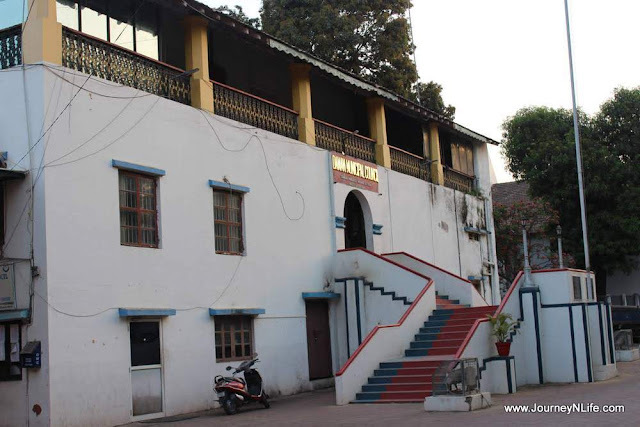 The Portuguese influence is still visible in the architecture around the fort. 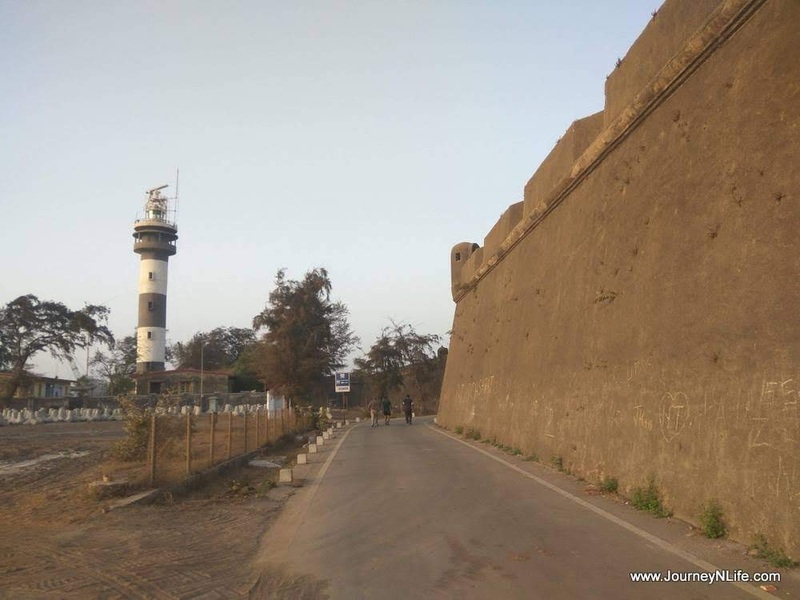 Driving on the narrow road outside the fort will take you to the Lighthouse. 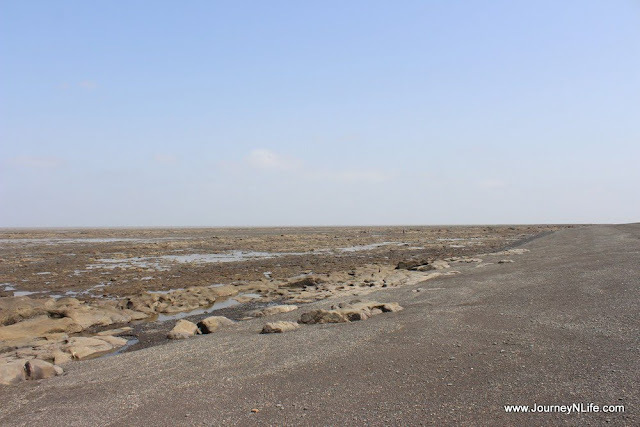 Lighthouse, a name that is often used a synonym to a reliable guide, to show the right direction towards shore for all the lost ships, boats and ferries in the sea. There are various churches in Daman and “Basilica of Bom Jesus Church” is the most popular among them. 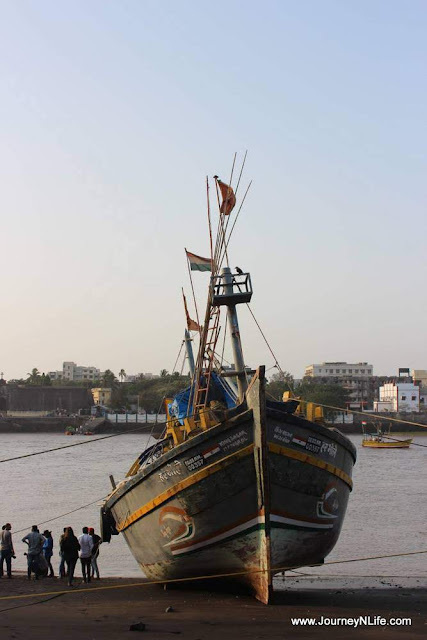 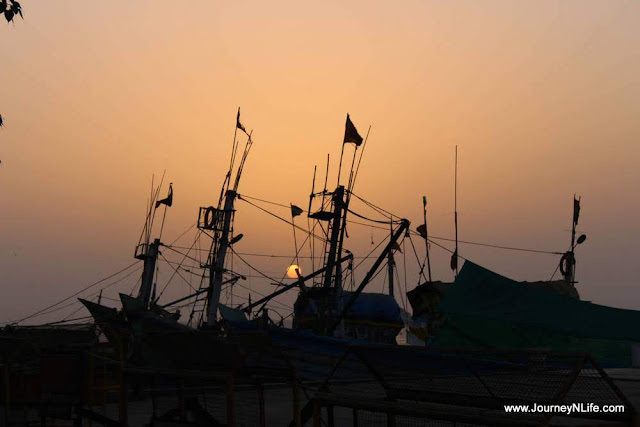 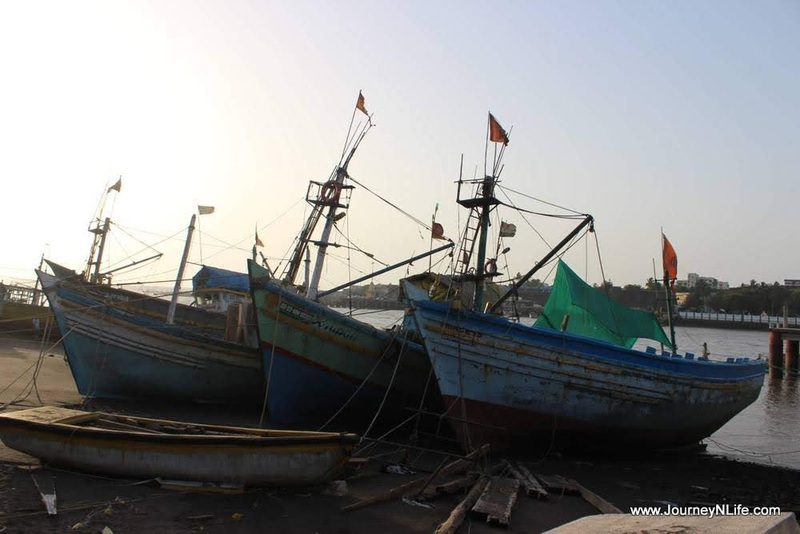 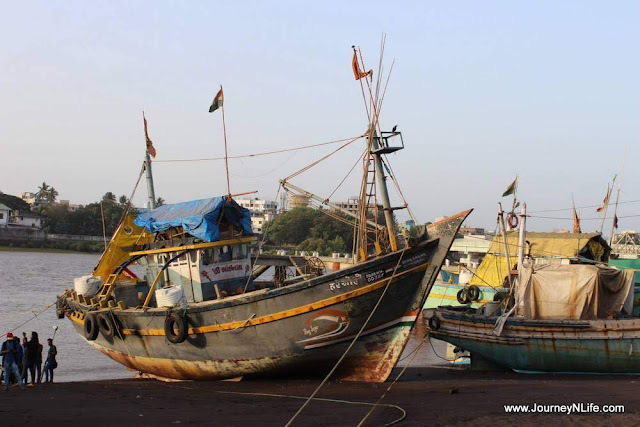 Daman’s fishing jetty is the picturesque hangout place near Light House. Walking on the roads of Daman is absolute delight if you have an eye for history and picturesque old buildings. Daman as a coastal town is gifted with beaches that have their own charm. 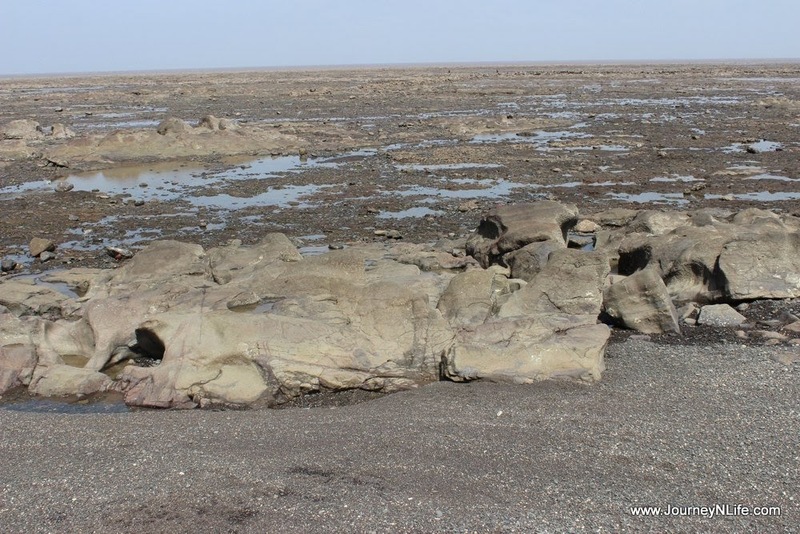 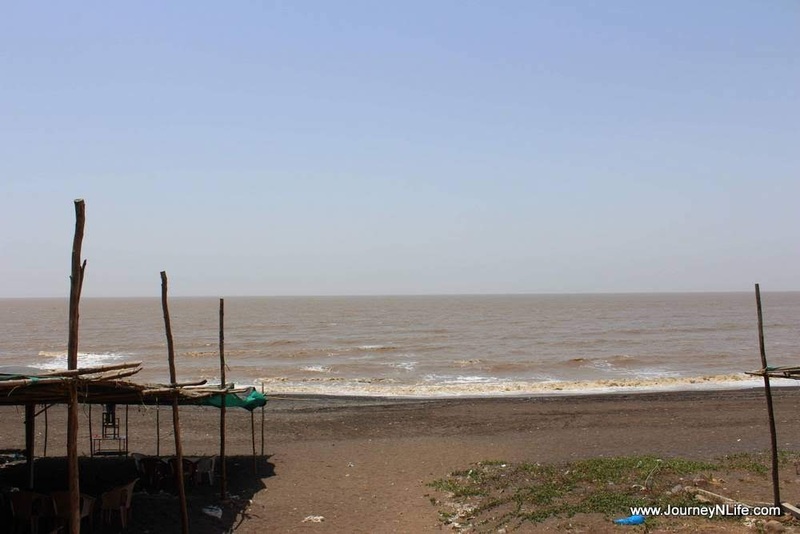 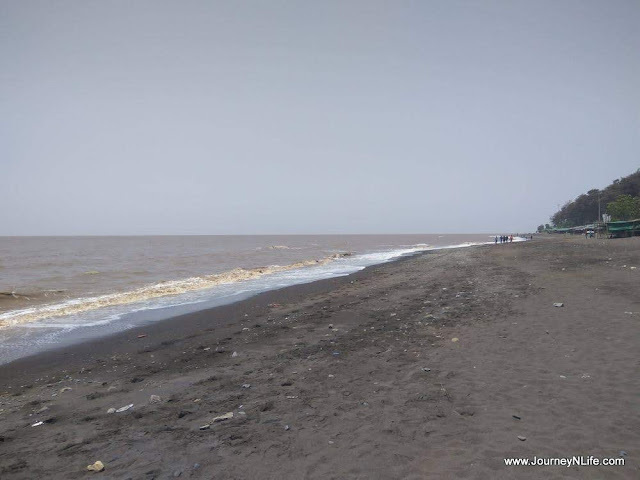 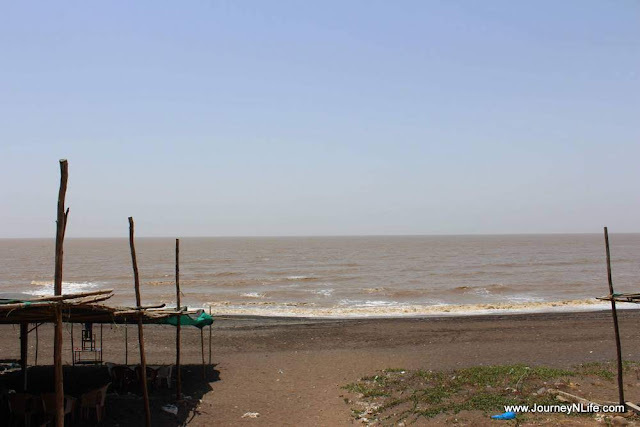 There are 2 beaches in Daman – Devka Beach and Jampore Beach. Jampore Beach is a much better option with clean and soft sand than Devka beach; it has many sporty things to do. 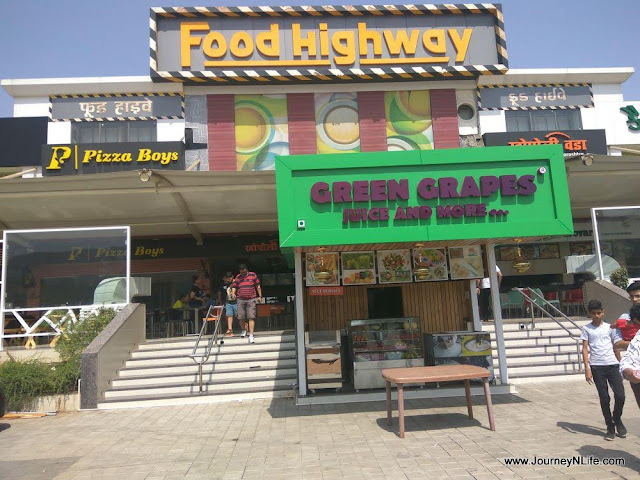 There are many snacks and great seafood option. 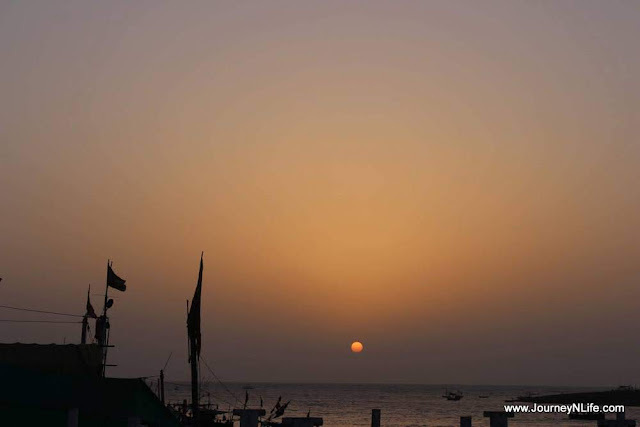 Also it is a good place to catch the sunset. 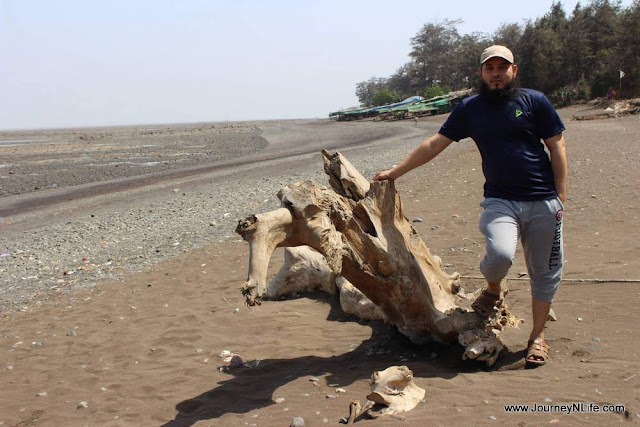 Devka beach is a rocky beach and that’s not ideal for swimming. 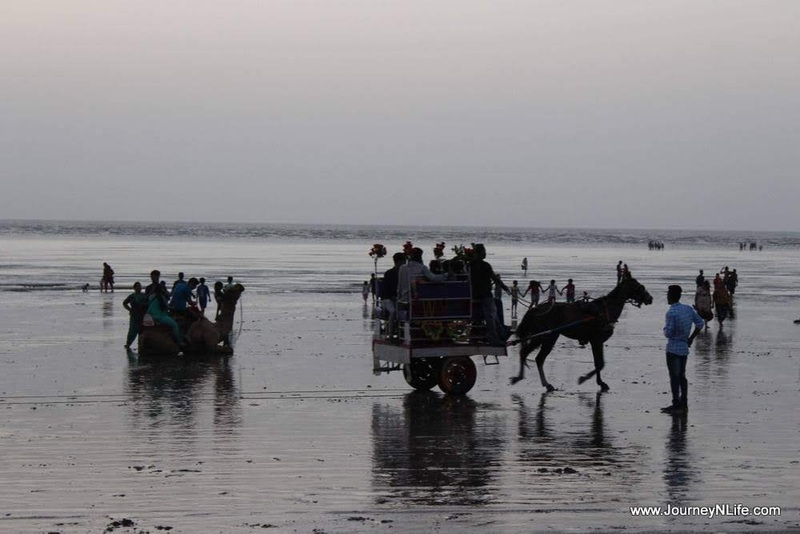 This beach is very touristy and crowded; it has typical beach activity like camel & horse rides, para sailing, etc. 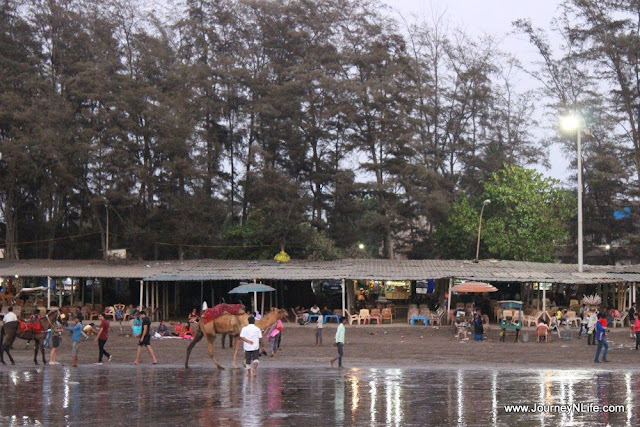 There are various resort/home-stay options near Devka beach which provide comfortable stays with in-house restaurants, beach view rooms, swimming pools and spa options. 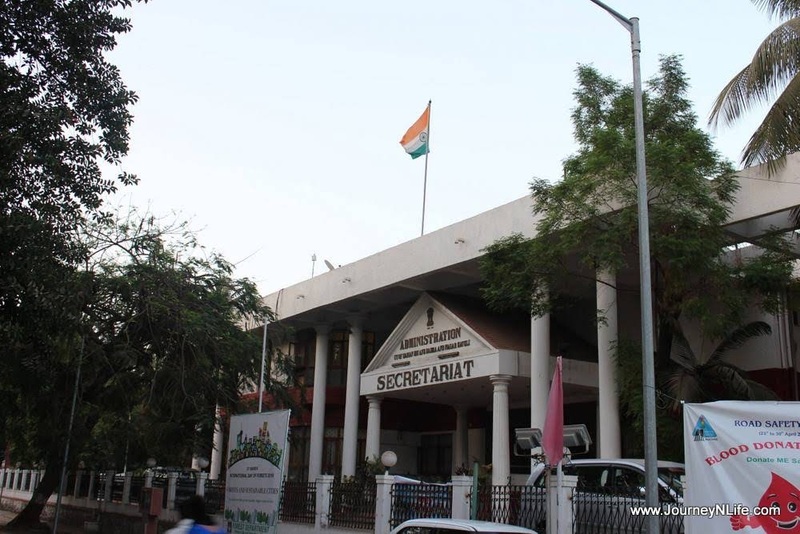 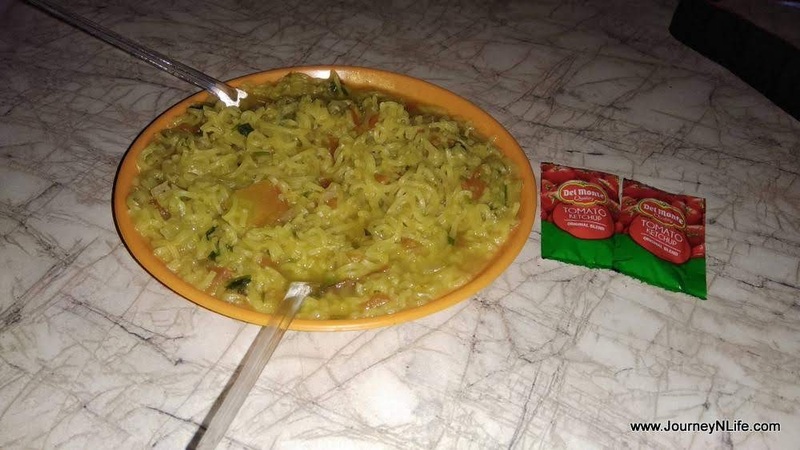 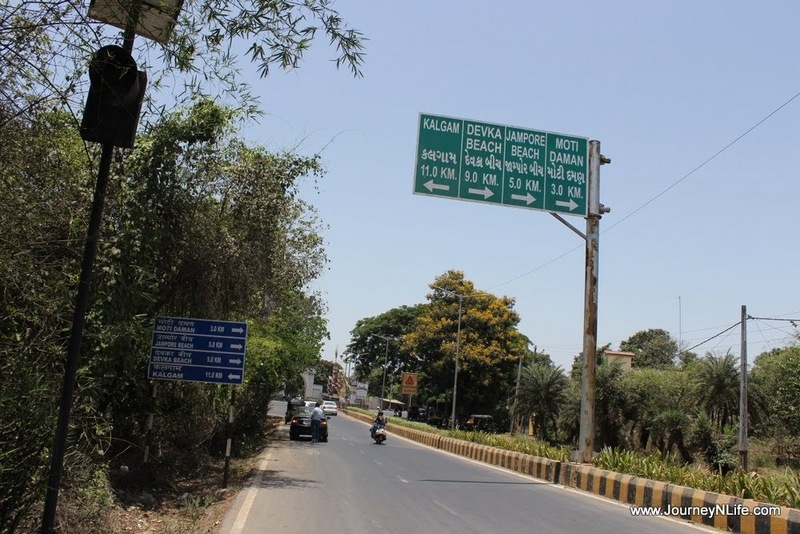 Budget hotels can be found near the market area in Nani Daman. 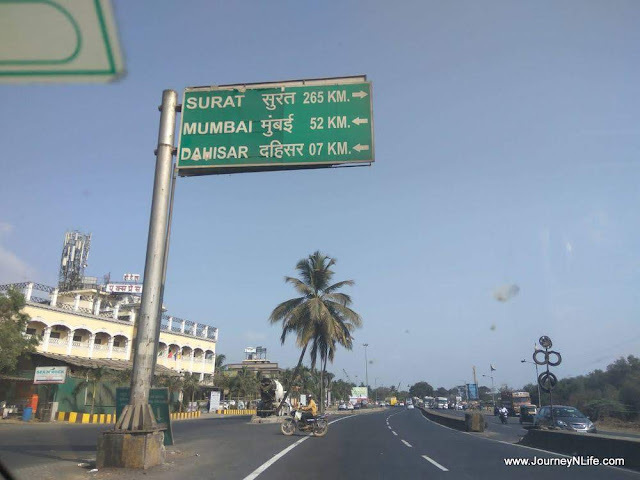 Daman experiences a moderate temperature all throughout the year. 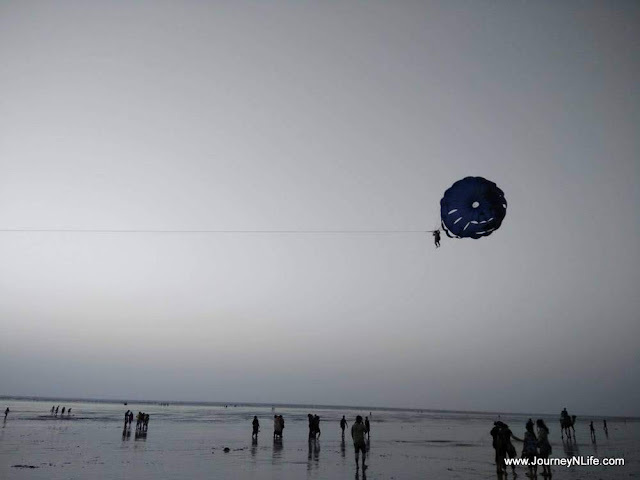 However the place can be visited all through the year, the best time to visit Daman is from October to February. It is the perfect season as the weather remains pleasant during this time and it makes you explore the place in the best way. It’s been nine months since our visit to Daman and it is now that I have sat down to write about it. 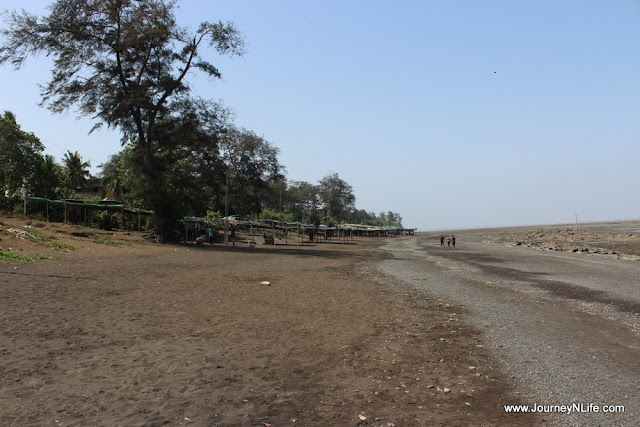 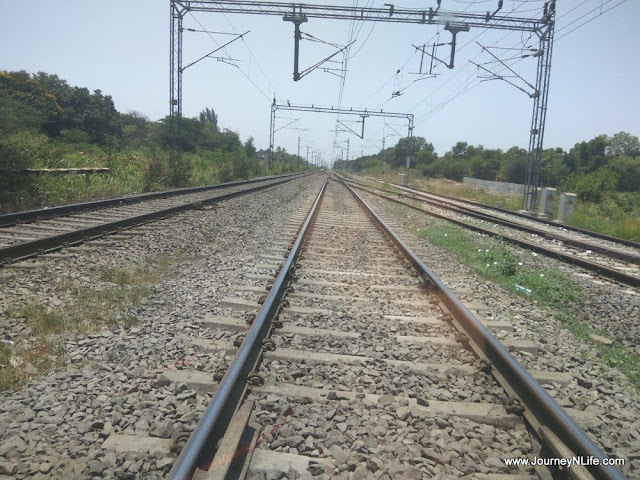 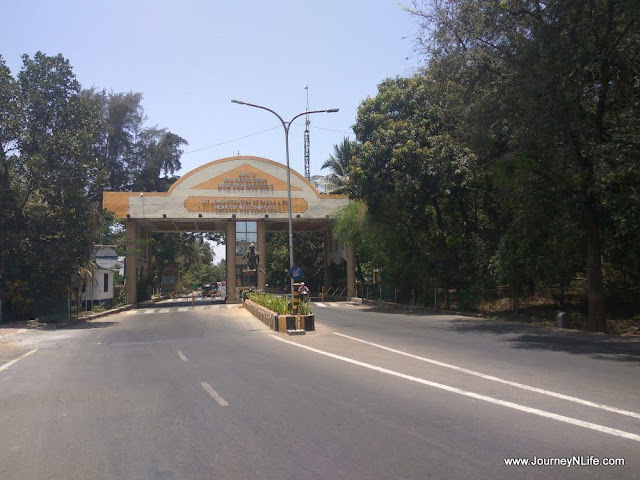 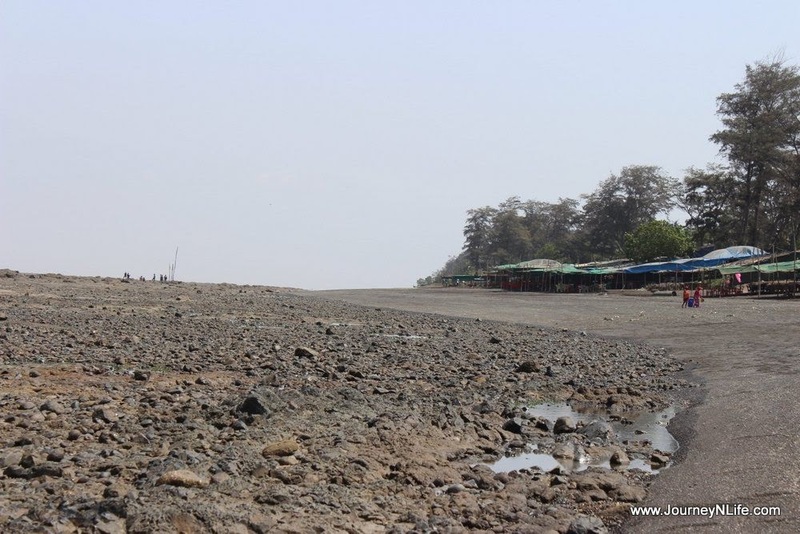 All this while, I thought that our visit to Daman would not be in the memory for long time as the place did not live up to the expectations that I had for it. But with the amount of information with which I have been able to recall our visit, I guess I have underestimated the lasting impression that Daman had left in my memories. It is really a good place to visit on weekend.